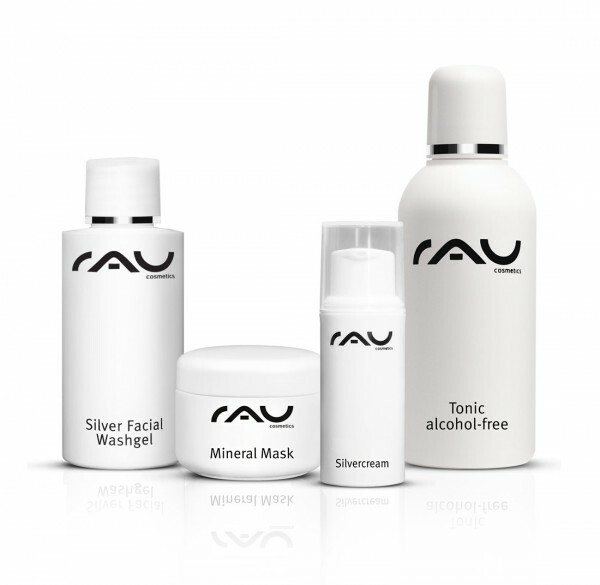 "RAU Silver Facial Washgel" : Shake well before use in order to disperse the micor-fine silver. Lightly moisten your face and apply a small amount of "RAU Silver Facial Washgel" on your palms. Foam it up and massage it into your face for ca. 1 minute. Rinse it off thoroughly and dry your face. Finally, spread one or two portions "RAU Silvercream" on your face and gently massage it in.